When planning for the distribution of your assets or probating an estate, your choice of legal representation might be the most important decision you make. Probate and estate planning law require multifaceted knowledge and experience to help you avoid errors and maximize assets. In a time when many people handle their own estate planning and probate matters, or find the law firm with the lowest hourly rate, we believe that lower hourly rates do not always equal the best value. 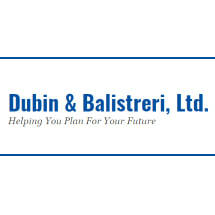 At Dubin & Balistreri, Ltd., we charge a competitive hourly rate for our services - significantly lower than some of the larger firms in the area - while offering efficient, personalized legal service for our clients. We have been representing Wisconsin clients since our founding 50 years ago. Our Milwaukee estate planning attorneys bring a wealth of experience in legal matters that include estate planning and probate. When you work with Dubin & Balistreri, Ltd., you will work with your lawyer - either Peter or Carl - throughout your case. Estate planning has legal considerations, to be sure, but it is also very personal, involving your own individual financial issues and problems. We will make sure you will not be handed off to paralegals or assists. Your attorney will be there with you helping you through the entire legal process. In addition to our estate planning practice, Peter S. Balistreri represents clients in probate and tax matters and Carl L. Dubin handles workers' compensation cases. This diverse legal experience makes us well-positioned to spot issues and tax planning opportunities in your estate planning and probate matters.